The TEMPLAR Black Titanium & Diamond Bracelet by Edward Mirell - Unique! 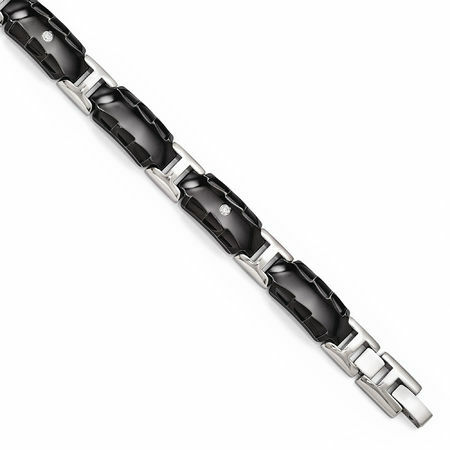 The black titanium TEMPLAR bracelet by Edward Mirell. Inspired by the ancient swords and armor of the Knights of Templar. 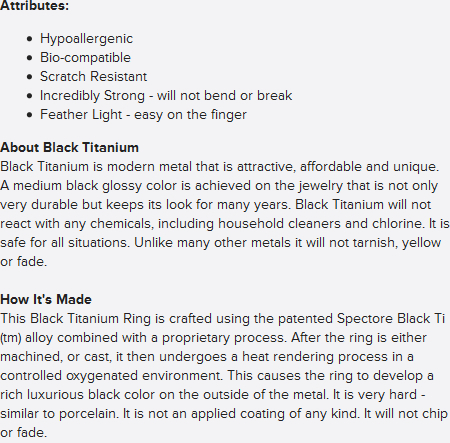 Made with black and gray titanium, and set with genuine round brilliant diamonds. Unique styling. Notice the the concave shape of the links and the attention grabbing scalloped edges. Pairs excellent with one of the black titanium TEMPLAR mens rings.